Dr. Vinod Chandra Sharma is an accomplished and a well-known school leader. 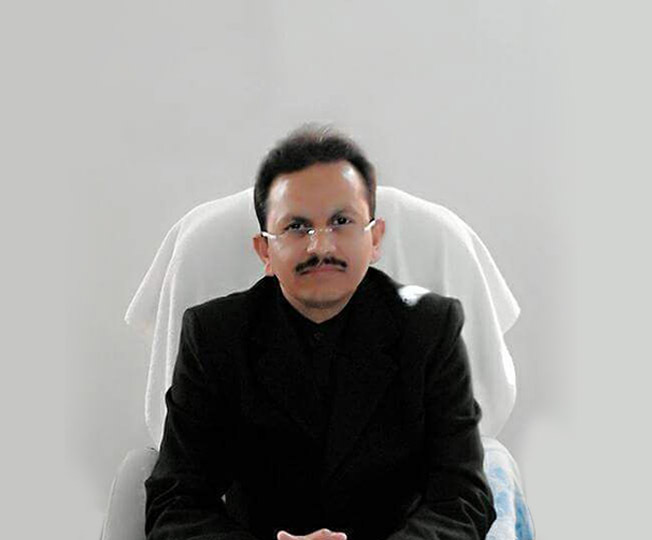 He has been working as principal of CBSE schools since 2011 and has a total experience of over 20 years. Dr. Sharma is passionate about student excellence and helping students prepare for competitive examinations and excellent academic results. He is credited with a special examination series that he has created for school students. The examination series helps students to strengthen their concepts well and achieve excellent results in their examinations. Education qualifications: Bachelor of Arts from Kashi Vidyapeeth and Master of Arts (History), both in first division. He also completed B.Ed. from Gorakhpur in first division. He earned a PhD in Ancient Indian History and Archaeology from the prestigious Banaras Hindu University (BHU), Varanasi. Our school is located in an idyllic and scenic environment at Jhalaria, Indore. Though the school is barely 3 kms away from Mumbai – Agra National Highway (NH 52), it is so isolated from the hustle and bustle of the city that we are able to hear the chirping of the birds and the whistle of the grass blades. Indus World School, Jhalaria campus is about 5 acres land with full-fledged and fully equipped two blocks built-up for indoor teaching and learning. We have various outdoor sports facilities like football, volleyball, basketball, and tennis. We also have fully equipped laboratories and tinkering spaces for our students and teachers to conduct experiments and innovate in a variety of ways. We have a big canteen/mess hall where our students and staff eat together. Also, there are a plenty of corners and places where our teachers and students come together to interact. Our campus is enabled with CCTV surveillance.